LABOUR BULLETIN : MALAYSIA:::Allow the conduct of secret ballot without further delay and respect its results by refraining from filing Judicial Review. MALAYSIA:::Allow the conduct of secret ballot without further delay and respect its results by refraining from filing Judicial Review. 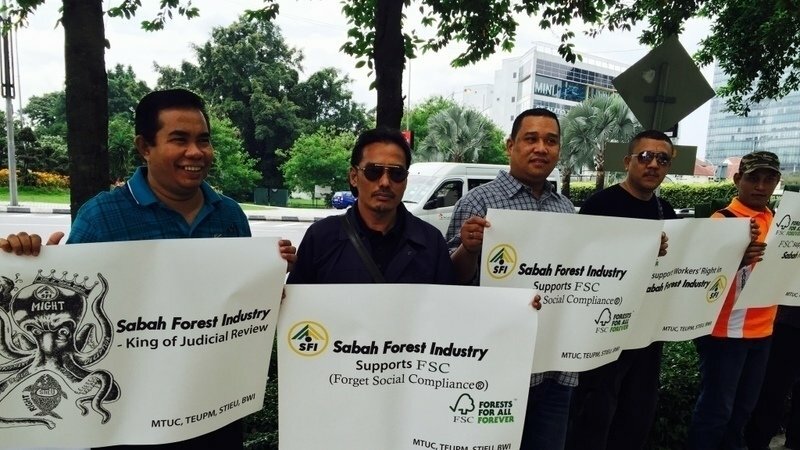 The Sabah Forest Industry (SFI), owned and operated by Indian Ballarpur Industries Limited (BILT), part of the gigantic Avantha Group, has for almost two decades suppressed workers’ right to self-organisation by using legal and technical maneuverings. Two judicial reviews were used to quash the decision of the Malaysian Minister of Human Resource to recognize the union. This anti-union attitude directly violates Malaysian Industrial Relation Act of 1967 that states: “No person shall interfere with, restrain or coerce a workman or an employer in the exercise of his rights to form and assist in the formation of and join a trade union and to participate in its lawful activities. (art.4.1 Rights of workmen and employers). This right is fully guaranteed by ILO Convention 87 and is embedded as a mandatory requirement in Forest Certification Systems and the mandatory Labour Performance Standards of the International Finance Corporation, which gives financial support to SFI.